MENKE is one of the leading Slovak Law firms in certain selected legal areas of specialization. It brings together a team of legal professionals who have worked in renowned Law firms where they gained experience working on important and significant transactions with an international impact. The goal of MENKE is to provide their clients with comprehensive legal support as well as high quality services in combination with an in-depth knowledge of the local environment and local contacts. Intellectual Property, Media Law and Information and Communication Technology Law are among the core specializations of the MENKE Law firm. Legal specialists, under the leadership of JUDr. Lucia Janská, LLM, are among the leading and most recognized professionals providing legal advice regarding implementation of information systems, outsourcing and the public procurement of information systems for the public sector. The professional qualities of the team at MENKE are clearly demonstrated by several publications, participation in conferences, as well as many successfully completed projects in the IT sector. The main focus of MENKE in the area of Intellectual Property Law is on providing legal advice in the matters of trademarks, licenses and copyrights. We provide complex legal advice to broadcasters, publishers, producers of recordings as well as for authors and performance artists with regards to creation and usage of author’s work or artistic performance, production and usage of audio recording, audiovisual recording or broadcasting. Our lawyers are also experienced in assisting clients with assessment of the content of works or broadcasting according to the legal regulation and if required, they represent clients in proceedings related to regulation of broadcasting before the court as well as before the Council for Broadcasting and Retransmission. Our law firm also provides legal services focusing on the area of protection of personhood and protection of good reputation, using relevant means of legal protection pursuant to the Act on Broadcasting and the Act on Press. One of significant focus areas of our law firm is public procurement, in which MENKE provides full legal support from the preparatory stage of public contracts, through closing the contract to execution of the public investment. Within the specialization of public procurement our law firm focuses also on public-private partnership (PPP) projects and EPC projects as a specific model for modernization of the public authorities’ property financed from savings generated from guaranteed energy services provided by private organizations – the energy service companies (ESCO). In the area of public investment the law firm MENKE provides legal services to the public sector assisting with analysis, procurement and conclusion of concession agreements in significant PPP projects. Our top references in EPC projects include provision of complex legal advisory services with preparation of contractual documentation and representation in negotiations and in various stages of projects during performance of individual measures for securing energy efficiency, assisting major public sector bodies as well as dominant and expanding ESCO companies on the Slovak market. In the area of Data Protection, which belongs to one of our key specializations, the law firm MENKE LEGAL focuses mainly on the new legal regulation on data protection, namely the GDPR and its implementation in practice. Our lawyers have the expertise to carry out a client’s GDPR assessment, identify areas that need to be brought in full compliance with the new legislation on data protection and subsequently prepare customized documentation as well as advise on actions that need to be taken to bring the organization’s internal processes in line with GDPR. Our team of lawyers is also ready to assist clients in their specific situations requiring evaluation of various legitimate interests of different actors in the area of data protection as well as train client’s employees to prepare them for new situations that can arise as a result of the new legislation. Our active involvement in this filed is also demonstrated by publication of articles on the topic of GDPR in several professional journals. Within the area of Pharmaceutical Law, we provide a broad range of legal services with the focus on approval of medicinal products by the Slovak Institute for Drug Control and post-authorisation obligations of marketing authorisation holders, pharmacovigilance including the Eudravigilance database, clinical studies (clinical trials and non-interventional studies) and advertising of medicinal products. Our professionals are able to assist clients with obtaining of respective licenses required for handling with medicinal products. In addition, we are ready to help our clients with legal audit concerning cooperation between healthcare professionals and pharmaceutical companies and with analysis of the EFPIA Ethics Code requirements. The law firm MENKE provides legal assistance in the registration process, assists with drafting agreements and/or adaptation of your templates to the requirements laid down by the Slovak legislation, legal analyses and communication with state authorities, such as the State Institute for Drug Control. Within this specialization, we provide legal assistance in the sector of both human and veterinary medicinal products. In addition, we are ready to assist our clients with regulation governing medical devices. The law firm MENKE specializes also on the area of construction law and provides legal services to clients with complex construction and development projects from preparatory pre-investment phase, through investment phase up to realization and operation of constructions. We provide legal services assisting with drafting and negotiation of contractual documentation for investors and also developers, and represent clients in area planning and construction proceedings as well as in settlement of disputes arising out of building projects. Within this specialization, for investment construction and when concluding contracts for construction works we apply the international contractual standards FIDIC, adjusting them to Slovak legal regulation and customizing them to individual construction projects. When drafting contracts we apply provisions of mainly the Red and Yellow Book (if appropriate, also the Golden and Silver Book) including the short form of contract according to the Green Book in order to reasonably allocate risks in rights and obligations of the client and the contractor, regulate construction, finance and payment mechanisms, and prevent and settle disputes related to construction and operation of buildings. We also apply provisions of the Subcontract forms for construction as well as provisions of the White Book for provision of supervision of construction services. Providing legal advices in the area of Commercial transactions and M&A belongs to the core specializations of MENKE. Our team provides legal advisory to foreign investors as well as to leading domestic companies. This includes due diligence, the acquisition of equity stakes, the merging of companies as well as the negotiation of external funding. The legal team at MENKE has rich experience in the area of dispute resolutions in the domestic and also at the international level, as our professionals have represented clients both in court and at arbitration proceedings under the rules of ICC, VIAC, UNCITRAL and ICSID. Within this specialization, the members of the team have represented the Slovak Republic in several multi-million euro disputes regarding breach of domestic and international law. In the area of dispute resolution, lawyers of the law firm focus considerably also on disputes in the field of construction. Among other things, they have experience with representation of major contracting authorities in court disputes that arose out of contracts concluded for large-scale construction projects according to the FIDIC contractual conditions. The law firm MENKE provides legal services to clients mainly in the field of acquisition, sale and lease of real estate, audit of ownership rights to real estate and when cooperating with developers and investors in the real estate sector, in particular regarding administrative buildings, shopping malls and accommodation facilities in the Slovak Republic. We provide our clients with full legal support during the acquisition of the real estate, at auctions, insolvency and restructuring proceedings, tenders as well as represent clients in both cadastral and administrative proceedings. We perform legal analyses for projects of our clients, including drafting necessary contractual documentation for the planned disposition of real estate. In the area of Labor Law, the law firm MENKE provides legal services to various entities including employers, HR advisors and also major recruitment agencies. The law firm MENKE provides legal assistance not only with employment contracts, managerial contracts and other labor law documentation, but also with drafting internal binding guidelines, advisory services relating to collective agreement and negotiation with unions, representation in labor disputes before courts and representation and professional advisory services in relation to performance of labor inspection. The legal team of the law firm MENKE has excellent knowledge in cases of collision of Labor Law and Commercial Law, as well as in employment relationships with an international element, advisory services regarding employment of foreigners, sending employees for work to other states and temporary assignment of employees. The MENKE Law firm provides full legal support in all those matters that are subject to EU regulation in the areas of competition, state aid, public procurement and data protection. In the area of International law, we specialize in the international protection of investments as well as in the recognition and enforcement of foreign awards in the Slovak Republic. 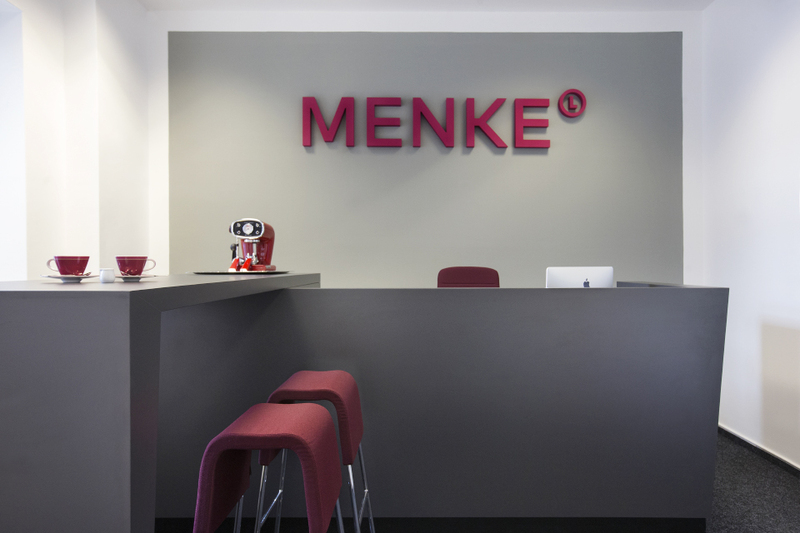 In this area, MENKE provides legal advice to clients on the use of Eurofunds, the implementation of projects itself, as well as legal advice and representation of client before courts and administrative authorities in matters of financial corrections. Within this specialization our Law firm has considerable experience in providing legal advice both to the beneficiaries of the Eurofunds as well as the public authorities. Due to the international nature of our firm’s experience, our multi-lingual staff is proficient in the delivery of high-quality legal translation services, including translating documents from English to Slovak and Slovak to English. The firm has experience translating a range of legal, corporate and business documents with strict guidelines governing precision in translation to ensure accuracy. We are pleased to be able to offer our clients translation services by a Certified Translator registered in the Official Register of Translators maintained by the Ministry of Justice of the Slovak Republic, so our clients can be confident in the quality of the end product they receive. Our staff has extensive experience providing interpretation services at a range of cross-border negotiations, seminars and workshops, conducting high-level in legal and business matters. We bring experience from advanced international legal and business education, drawing from experience working with a number of international organizations including the United Nations, and numerous international conferences. Cognizant of the changing nature of the languages we provide services in, our staff constantly update their translation skills and qualifications for an ever-changing legal and business world. in the historic center of Bratislava. By completing the contact form you acknowledge that the company MENKE LEGAL s. r. o. will process your personal data for the purpose of replying to your query stated in the contact form above. I consent to processing of my personal data in the extent stated above for the purpose of direct marketing, which includes sending commercial as well as non-commercial news. Our company takes the data protection seriously and therefore we would like to put into your attention the Information for data subjects that contains complete information about your rights and ways of processing your personal data.